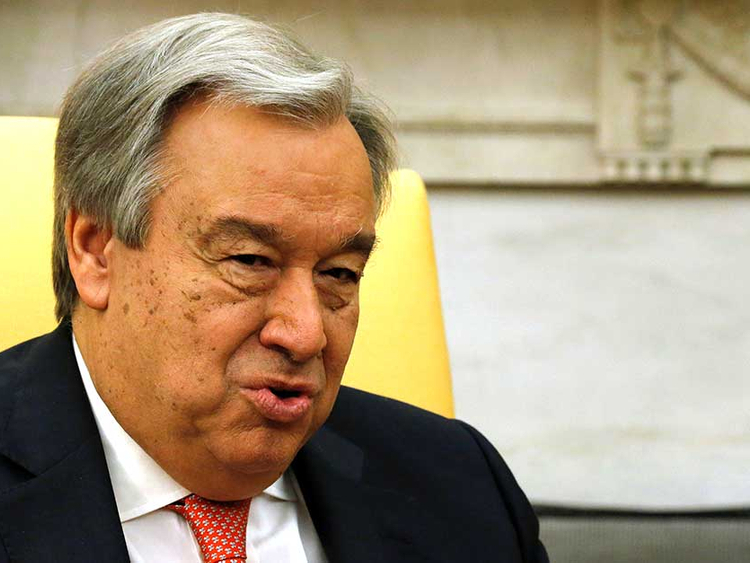 Davos (Switzerland): UN Secretary-General Antonio Guterres has announced that the United Arab Emirates will host the preparatory conference of the UN 2019 Climate Summit in Abu Dhabi in June. The announcement was made during Guterres’ meeting with Mohammad Abdullah Al Gergawi, Minister of Cabinet Affairs and the Future; Thani Ahmad Al Zeyoudi, Minister of Climate Change and Environment, and Omar Sultan Al Olama, Minister of State for Artificial Intelligence, on the sidelines of the 49th Annual Meeting of World Economic Forum at Davos, Switzerland. The meeting will witness the highest international participation in terms of official representation of countries, the private sector and civil society organisations since the Paris Agreement 2015, officials said. For his part, Al Gergawi said hosting the high-level preparatory meeting for the Climate Summit reflects the UAE’s directives under the leadership of President His Highness Shaikh Khalifa Bin Zayed Al Nahyan, and His Highness Shaikh Mohammad Bin Rashid Al Maktoum, Vice-President and Prime Minister of UAE and Ruler of Dubai, to consolidate international cooperation aimed at safeguarding the sustainability of the planet, thus, making it a better place for future generations. Al Gergawi said the UAE had played a pivotal role in the development of the outcomes of the climate summit hosted by Paris in 2015, through its partnership with the United Nations, hosting the 2014 summit preparatory meeting, which developed recommendations and draft resolutions that have become a global reference for environment’s conservation efforts. Since 2013, the UAE has provided around $1 billion (Dh3.67 billion) in aid to developing countries to deploy renewable energy solutions and has committed itself to reducing and adapting to climate change through its $5 billion annual aid package.